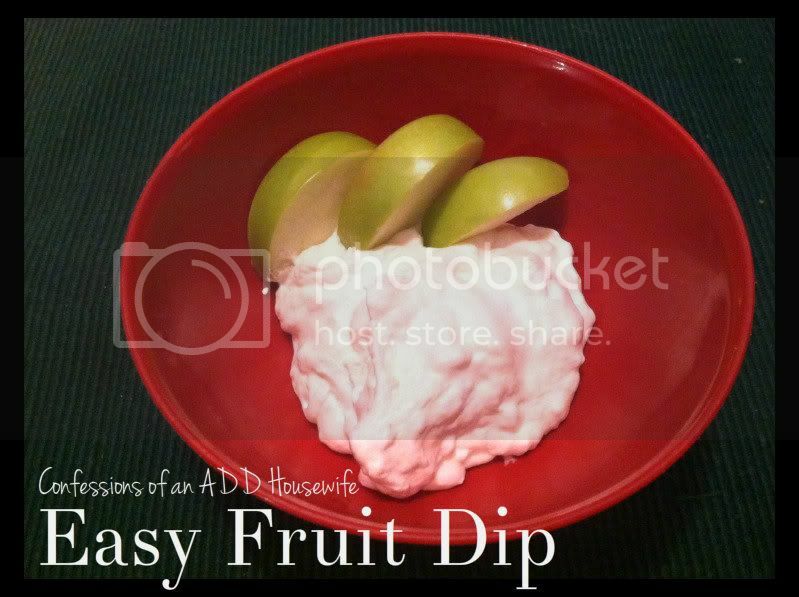 When I had my bridal shower all those many years ago, my friend who hostessed it made this wonderful fruit dip. At the time, I asked for the recipe and in my wedding clouded mind, I completely forgot it. 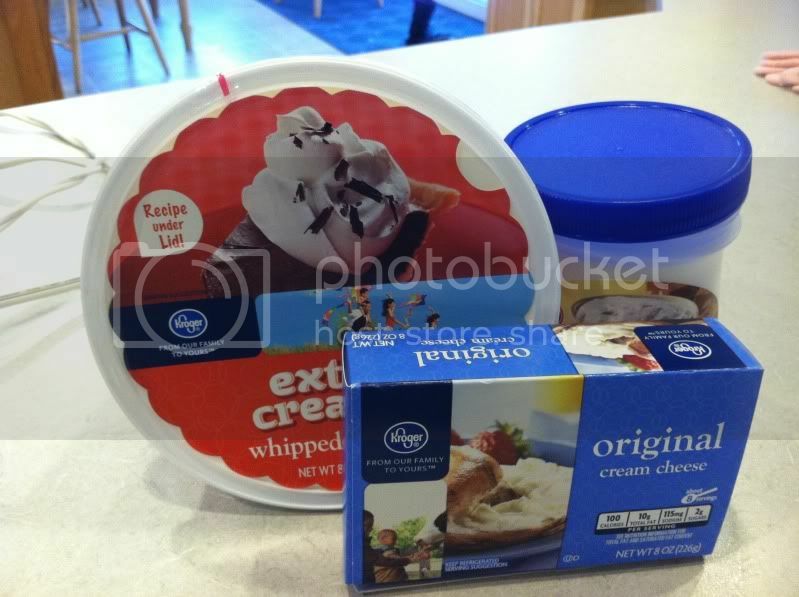 Over the years, I've wanted to make that fruit dip again, but I could only remember one ingredient...marshmallow fluff. For whatever reason, I never tried to google the recipe. In fact, when my friend and I reconnected on facebook, the thought of asking her for the recipe never really occurred to me. First step is to bring the cream cheese to room temperature. This amount of time my vary. Where I am...it'll be about two minutes. If you live somewhere cold...it will take longer than this. If you don't bring it to room temp and say...not really follow the proper instructions and toss all the ingredients together, you may burn out the motor in your sister-in-law's mixer. Just tossin' that out there. It's just that easy. And tasty. I love it with nice, tart Granny Smith apples. Iron Chef Mom will be back on January 14 and our ingredient is TOMATOES! I'm really going to have to put my thinking cap on for this one since I'm not a huge fan of tomatoes unless it's in caprese or marinara. Don't forget to link up your own TOMATO recipe! This sounds so good. I have a 4 ingredient fruit dip that I make for parties but it's different: brown sugar, white sugar, vanilla, cream cheese. I'm going to have to give yours a try. Thanks for sharing. Found you from Love and Laundry's link party and now I'm a follower. This sounds good. Thanks for sharing on Foodie Friends Friday.. Following you now on bloglovin. This sounds like a great idea! Thanks for sharing on Foodie Friends Friday! This looks yummy! 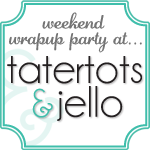 It would be great if you would come share it at my Funday Sunday Link Party that will open this Saturday at www.the-crafty-cowgirl.com! Hope to see you there! I love this dip! Its so delicious and one of my favorites! So glad you shared it over at Frugal Crafty Home! Its been awhile since I had it last! This looks so good! Too bad I don't have the ingredients at home, otherwise I'd be making it right now!